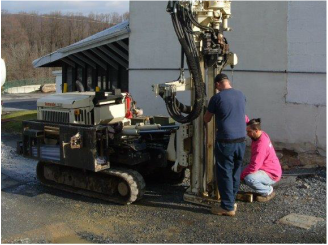 Providing Pennsylvania with residential heating oil tank removal, tank tightness testing, soil sampling, and more. Since 1998, Coventry Environmental Associates, along with our Perma-Fill Northeast division, has been providing highly experienced ​personnel to assist our clients with a variety of environmental issues. We specialize in residential heating oil tank removal and provide a variety of cost-effective and minimally invasive solutions. Our commercial underground tank services include tank removal, tank tightness testing, soil sampling, and more. We provide numerous commercial and residential environmental assessment services as well as soil and groundwater remediation.